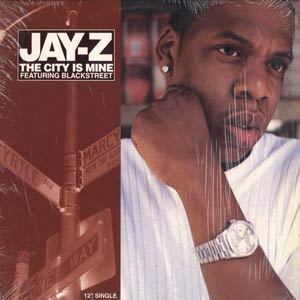 "The City Is Mine" is a the third single from rapper Jay-Z's second album In My Lifetime, Vol. 1. It features vocals from Blackstreet and production from Blackstreet member Teddy Riley. Riley samples "You Gonna Make Me Love Somebody Else" by The Jones Girls for the song's beat, while Blackstreet interpolates "You Belong to the City" by Glenn Frey and Jack Tempchin for the song's chorus. In addition, a young Chad Hugo plays saxophone on this song. The first verse is dedicated to the memory of his friend, The Notorious B.I.G. 1. "The City Is Mine (Radio Edit)"
2. "The City Is Mine (TV Track)"
3. "A Million and One Questions (Radio Edit)"